Happy Friday everyone! 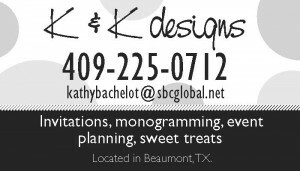 The southeasttexasweddings.com Fall Wedding Preview was a huge success this past Sunday. 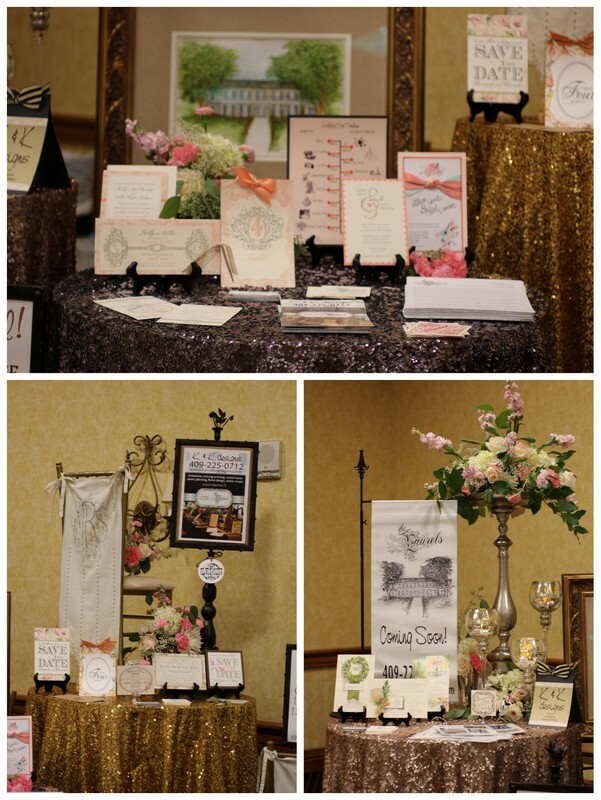 We had so much fun displaying some new inspirations and ideas and meeting all of you! 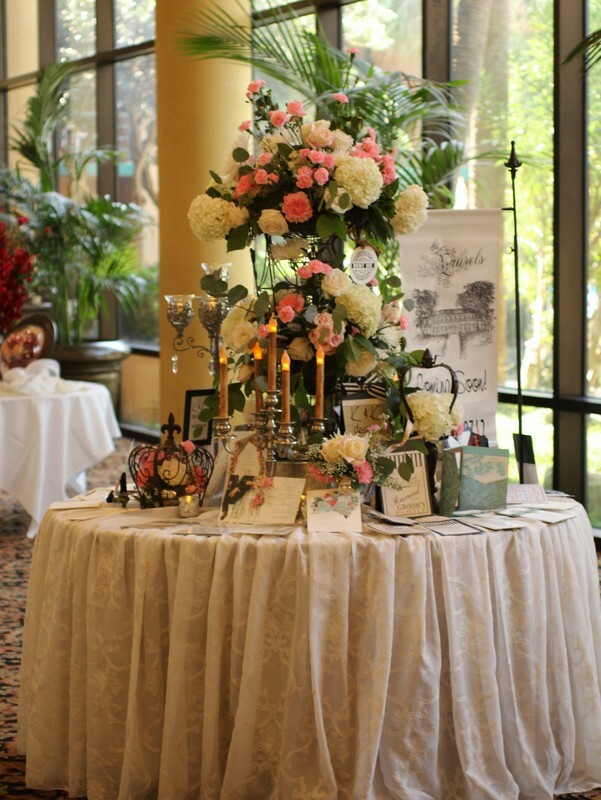 We loved answering all of the questions about The Laurels too! Let’s get right to it! 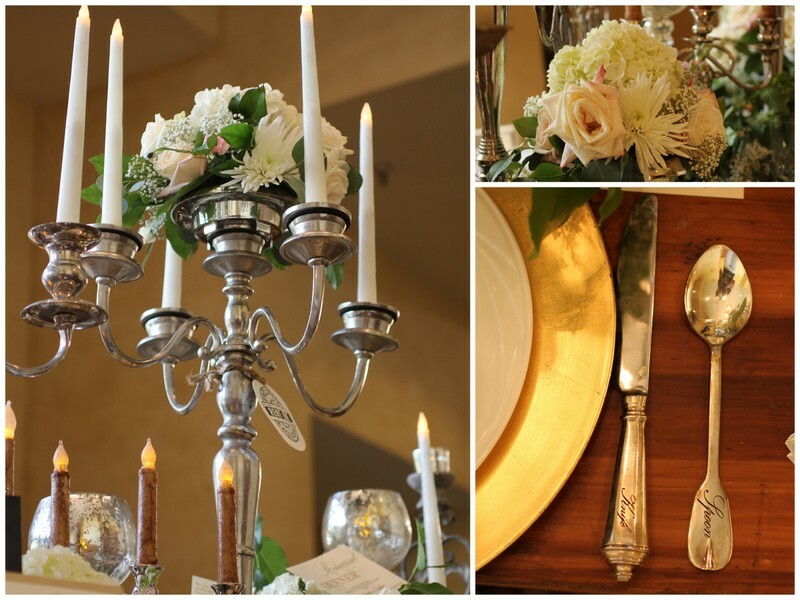 We always get a lot of questions about our different centerpiece options and what types of candelabras and candlesticks we have so we did a gorgeous table displaying some of our favorites! 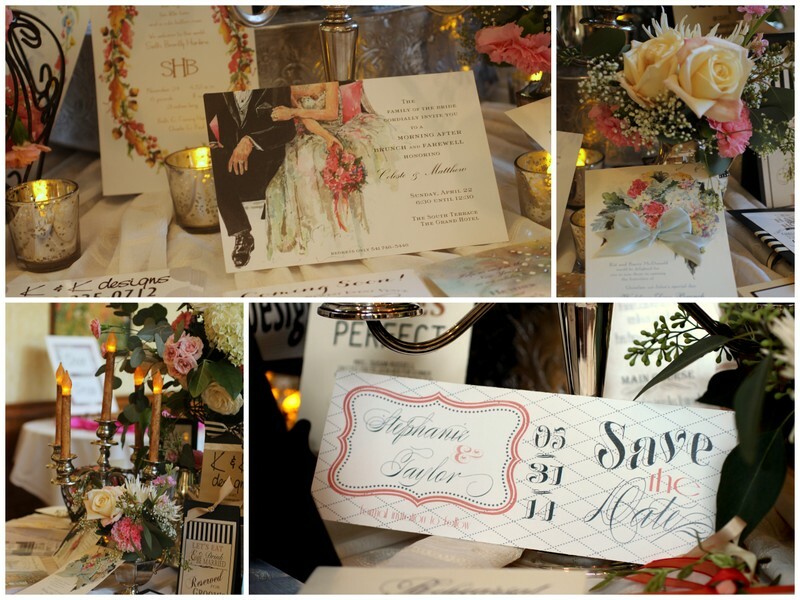 Among the abundance of fresh flowers and twinkling candles we added some of our favorite stationery items for even more inspiration. 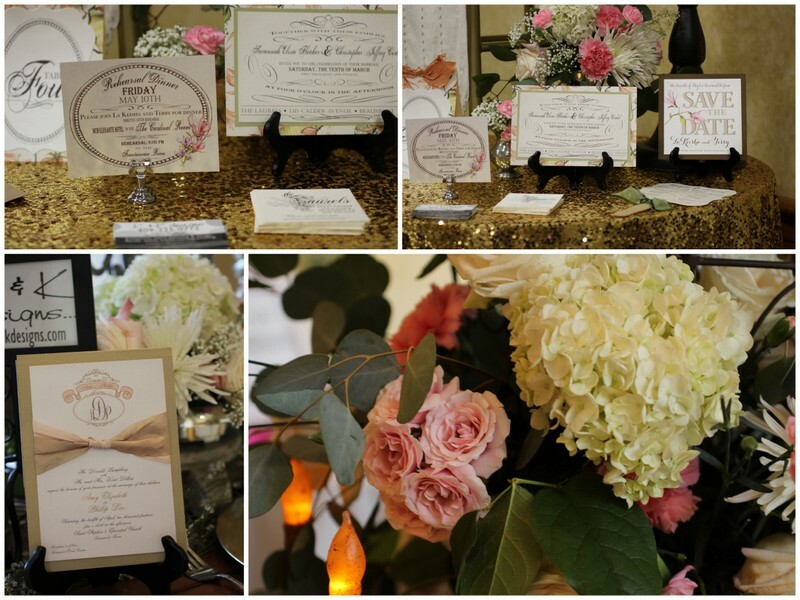 We did a second table in the inspiration gallery with sweet flowers and invitations ranging from save the dates and wedding showers to baby showers and graduation announcements. 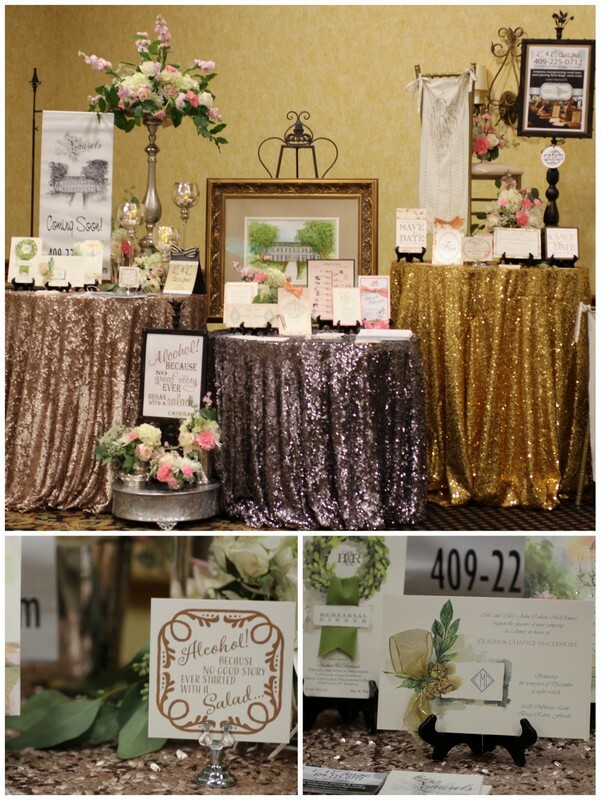 In our booth we displayed a few of our favorite sparkling linens. 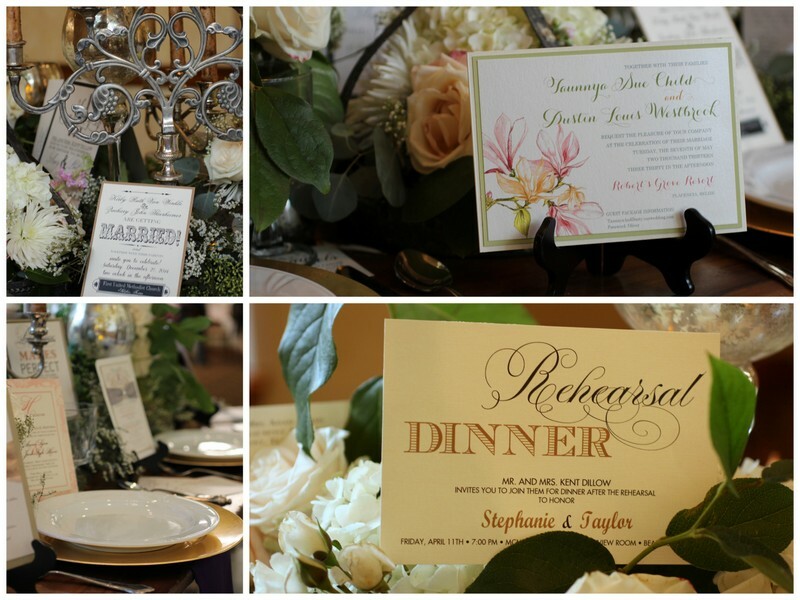 We love the glitz that these add to any occasion and they really made our invitations pop! 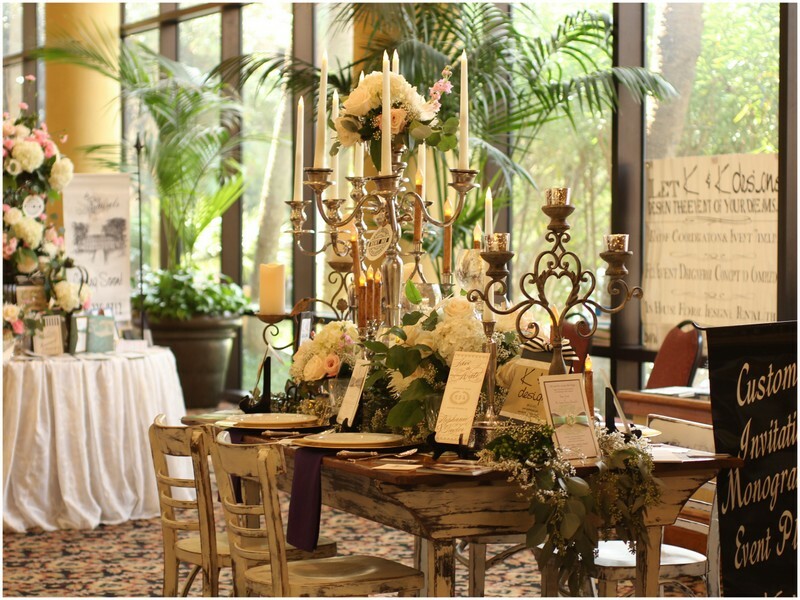 Brides kept coming to our booth and saying they could see them shimmering from across the room!